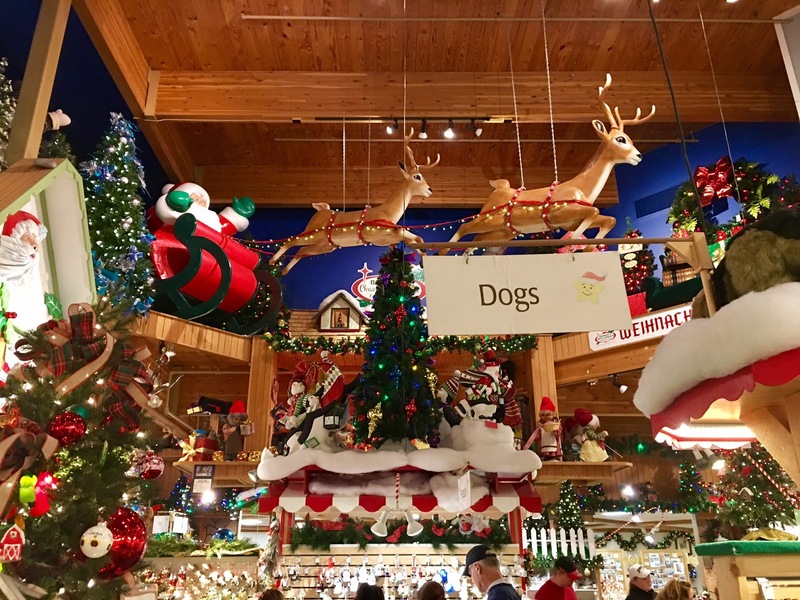 When you find out one of the most popular places to visit at your destination is Bronner's Christmas Wonderland, the largest Christmas store in the world, you go. This wasn't my first visit but it's been several years since I was there last and couldn't want to revisit. I used to live in Detroit, Michigan and remember how magical it was when I visited the first time. Because who doesn't love Christmas and Christmas decorations? Where is it? 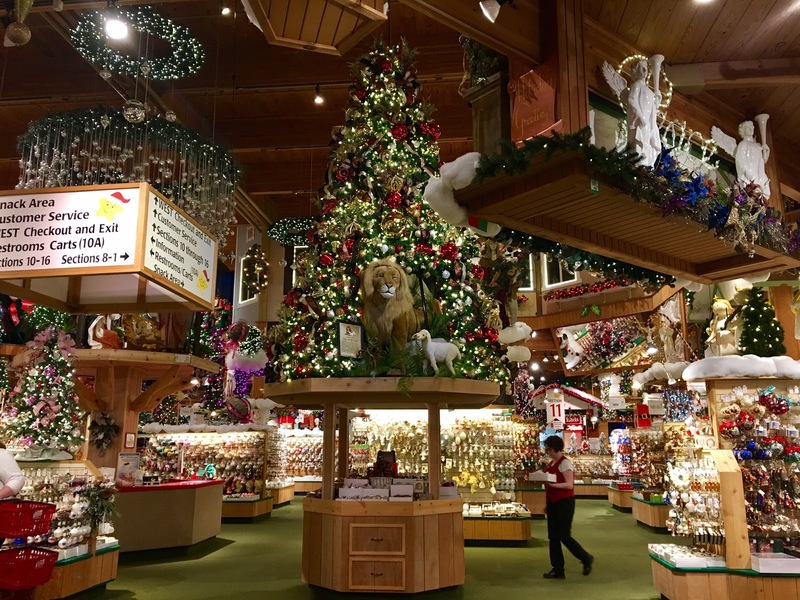 The world's largest Christmas store is called Bronner's Christmas Wonderland and is located in Frankenmuth, Michigan. The small town, also known as Little Bavaria is approximately 90 miles north of Detroit and a quick 1.5 hour drive. I guest-posted on Frankenmuth Tourism Board's Blog about my trip, check it out. 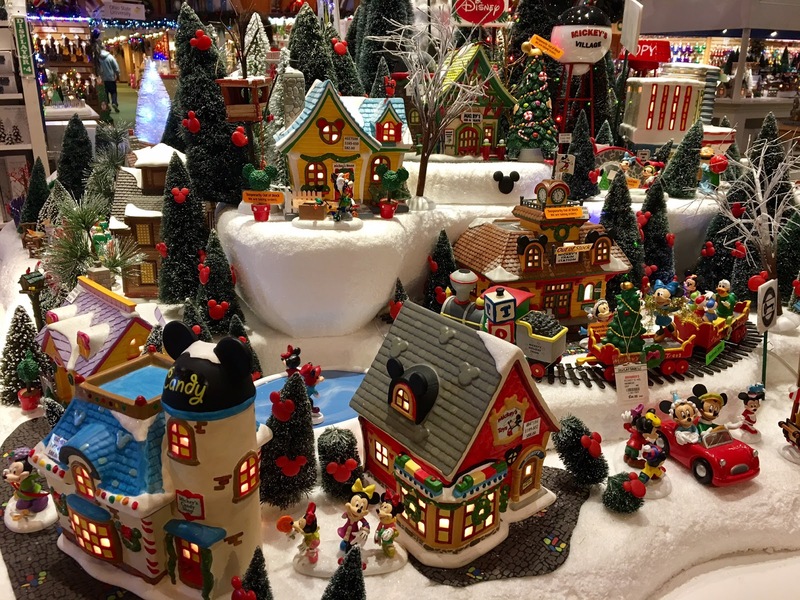 How large is the largest Christmas store in the world? Are you even ready for this? 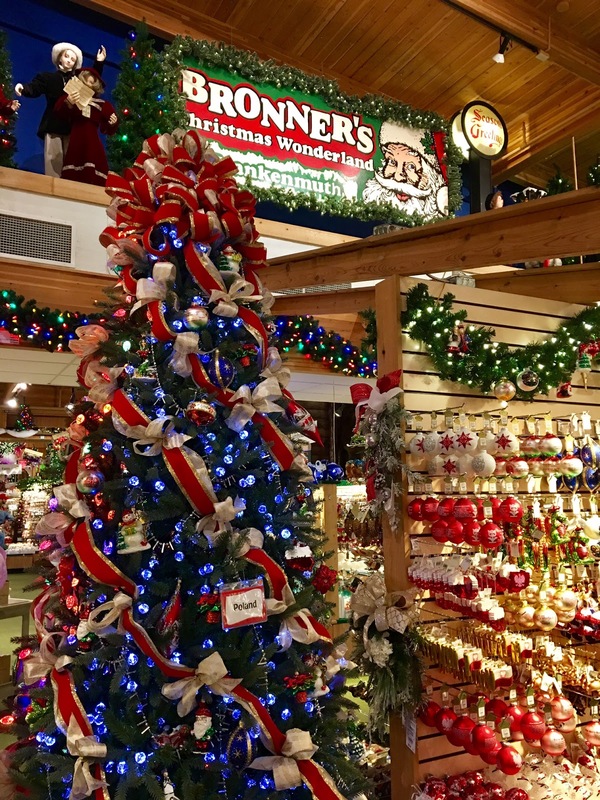 The entire lot of Bronner's Christmas Wonderland is a whopping 27 acres and the store itself is 7.35 acres! Insert shocked emoji here! It's so large that there's several entrances and a greeter at each door. They hand you a map of the store, which is really convenient for locating themes/items but mostly so you don't get lost! What does the store sell? 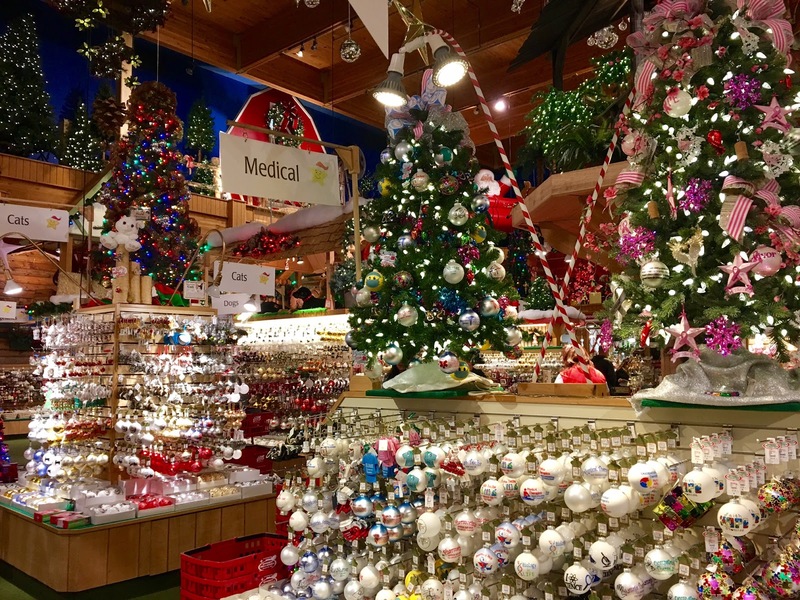 The majority of Bronner's sells ornaments. I know it feels like there shouldn't be enough ornaments in this world to fill 7.35 acres of space but trust me, they do. All the stations are divided by categories like Food, Family, Careers, Dogs, Cats, Sports, Hobbies, Music, Religious, Wedding and that's only some of it. They also sell other Christmas decorations like stockings, faux trees, lights and Nativity scenes. One of my favorite things they offer? 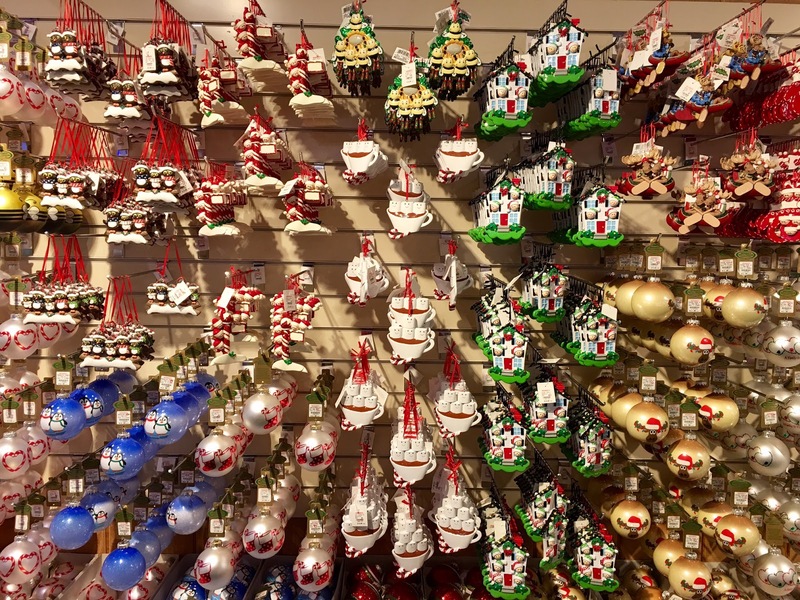 A huge selection of ornaments that can be personalized same day. Are they open all year? They're open 361 days a year! As tempting as it is to visit closer to Christmas, I would suggest visiting during the off season like I did. Apparently, Thanksgiving weekend is the busiest and they see 50,000 visitors in just a few days! Sure it's 7 acres but that's a lot of people to maneuver through, no thanks! Why would you go if it's not Christmas season? Why wouldn't you? Haha, ok that's not a good answer. But really, whether you celebrate Christmas or not (I very lightly do), it's a fun place to visit for both adults and kids alike. If an ornament speaks to you, I think it makes for a great gift all year long and trust me, you're bound to find one (or several!) that you love. 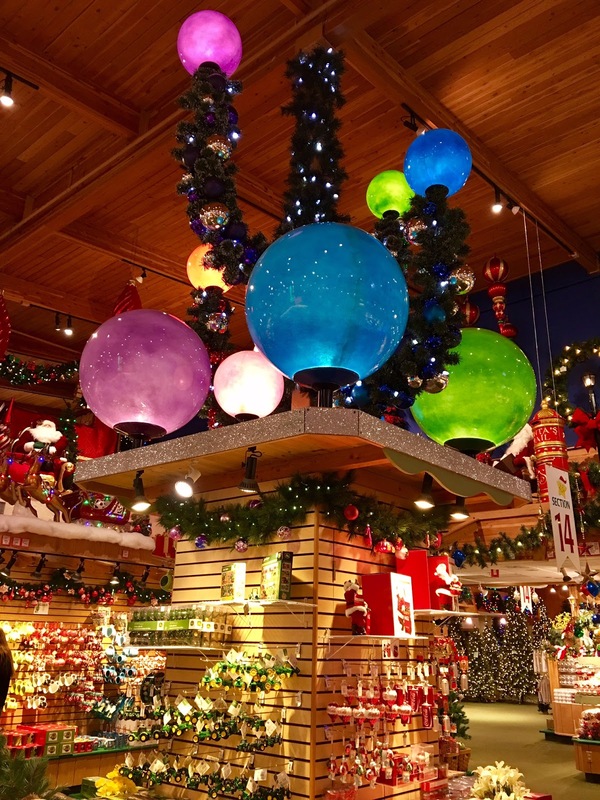 Even if you're not buying anything, it's quite the experience and wonderment walking through the perfectly decorated store. How do you pack ornaments in your suitcase? This is exactly what I was wondering when I got there. I saw so many items that I would love for our home or for gifting. Then, the sadness rushed through me when I realized I only travel with a carry-on. Thankfully, Bronner's thought of that already and offers shipping. With a purchase of $100 or more, the shipping is $5.95. We purchased way more than $100 and got it shipped back to California. Of course, you can also shop online. 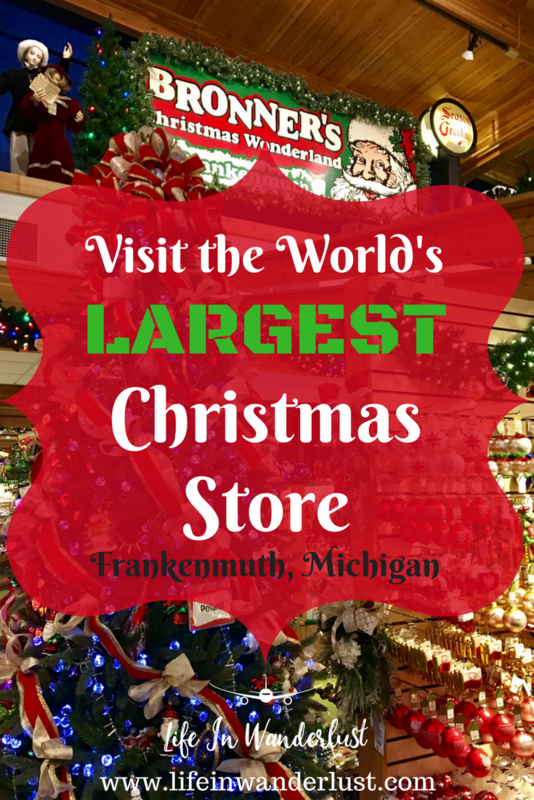 What else is in the Frankenmuth area? Frankenmuth is a small town but it's packed with Bavarian charm! A post is coming next week about my Frankenmuth experience but for now, take a read at my guest post I did for the Frankenmuth Travel Bureau right here!